Lawsuit claims Charter leased older Wi-Fi routers it knew couldn't deliver advertised speeds. New York's attorney general has filed a lawsuit against Charter Communications accusing the company, the second-largest cable operator in the U.S., of outright lying about Internet speeds. According to the lawsuit (PDF), Charter made promises about broadband speeds and service reliability that it knew it wouldn't be able to keep. "Spectrum-TWC's scheme consisted of promising consumers, including its subscribers, that they would obtain throughout their homes the Internet speeds advertised in various subscription plans. Spectrum-TWC failed to deliver on this promise by leasing to a large number of its subscribers older-generation modems and wireless (or 'Wi-Fi') routers that it knew were incapable of achieving the promised Internet speeds," the lawsuit states. Charter Communications purchased Time Warner Cable for around $60 billion last year. 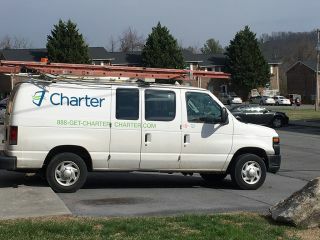 Following the acquisition, Charter began branding its services under Spectrum, hence why the lawsuit refers to Spectrum-TWC. During a press conference, New York Attorney General Eric Schneiderman said he filed the lawsuit after receiving thousands of complaints from ticked off customers, Reuters reports. "The allegations in today's lawsuits confirm what many of you have long suspected. Spectrum-Time Warner has been ripping you off," the attorney general said. Schneiderman states in his lawsuit that Spectrum-TWC advertised "fast, reliable Internet speeds" and encouraged users to subscribe to faster, more expensive service tiers, only to saddle them with "deficient equipment and a network" it knew was incapable of delivering the promised speeds. In New York alone, the lawsuit claims that Spectrum-TWC leased older generation modems to more than 900,000 subscribers at a fixed fee of $10 per month. The modems were so out of date that they couldn't reliably achieve speeds of even 20Mbps, according to the lawsuit. "To conceal this failure, Spectrum-TWC assured the FCC in or about July 2013, that it would replace its older-generation modems for all of its subscribers, but in fact it did not," the lawsuit states. Schneiderman says that customers paying $110 per month for 300Mbps service were averaging just 85Mbps, and those paying $70 for 100Mbps were getting around 55Mbps. On top of that, the lawsuit alleges a significant amount of packet loss. The attorney general is seeking restitution for 2.5 million subscribers in New York. According to CNET, the tally could be as high as $1 billion for each year since 2012.